Okunitama Jinja Shrine is one of the oldest shrines in Tokyo. 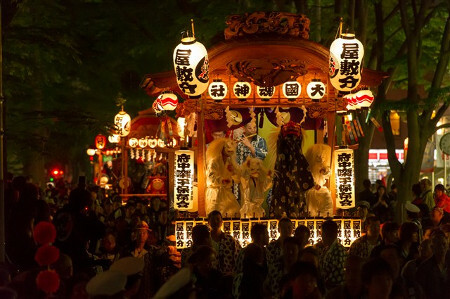 “Kurayami Matsuri” (Darkness Festival) which is an anual festival of the Okunitama Jinja Shrine is held for seven days from April 30th to May 6th. 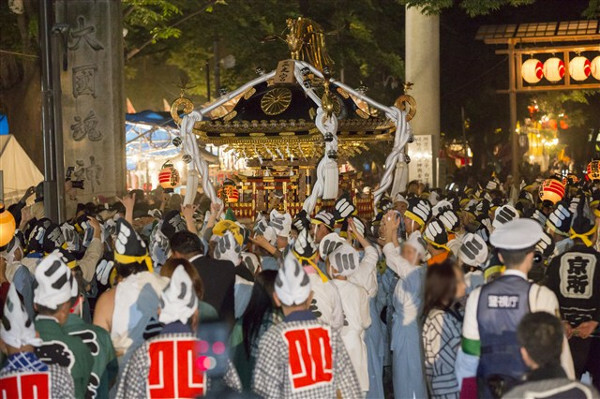 The name of the festival comes from the fact that “Mikoshi togyo” (parade of portable shrines) was done in the dark at midnight. 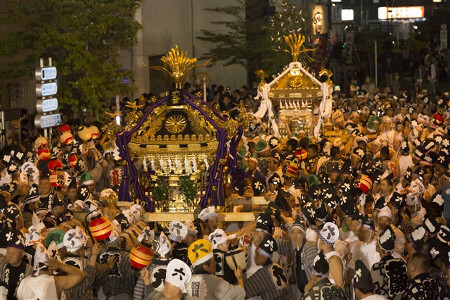 Various Shrine rituals will be held in seven days, but the main event of the festival is “Mikoshi togyo” on May 5. 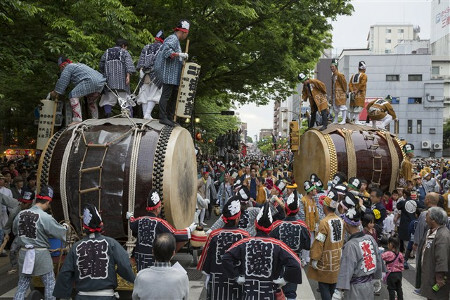 A huge Japanese drum is struck together with the fireworks at 18:00, and 8 portable shrines depart from the main shrine, heading to “Otabisho” (the intersection of the old Koushu Road and the Fuchu Road). 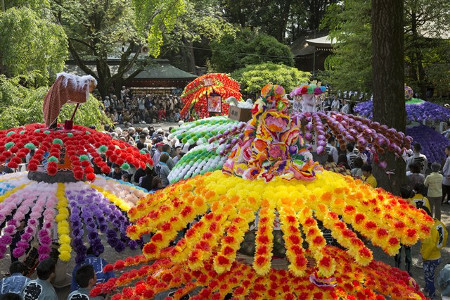 On May 3rd to 5th, there are about 500 stalls and garden plants market. 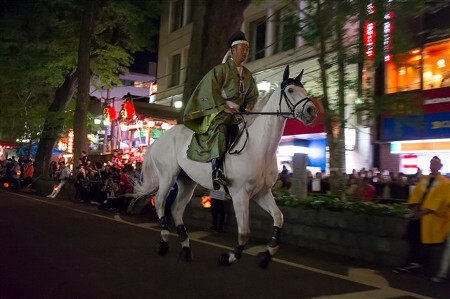 Over 700,000 people visit during the festival period.